Bala Kushwaha of Ruppur village in Balrampur district of Chhattisgarh was a simple housewife until two years back. Like all other women in her village, she too was mainly a housewife who had very little exposure to the outside world. Her life basically centred around household chores. But it all changed when she was introduced to Bihan. Bihan is the Chhattisgarh government’s scheme under National Rural Livelihood Mission that ensures livelihood opportunities to rural women. The women are imparted skill on various trades and are given financial support to start various trades. Self Help Groups consisting of women get engaged in various trades under this scheme. Bala was introduced to Bihan by some women who came to her village to spread awareness about the scheme. She and several other women got associated with it and formed a Self Help Group named Kisan Mahila Swayam Sahayta Samuh. She is the secretary of the SHG. The women took up various activities including brick making under the banner of the SHG. 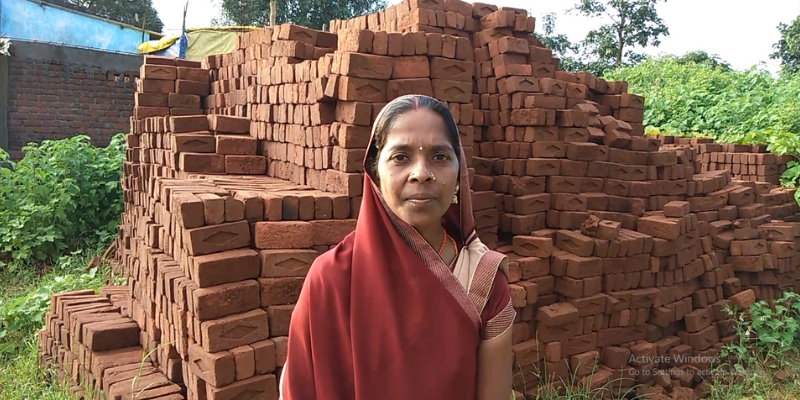 Bala says it was the rise in construction work under various schemes like the Pradhan Mantri Awas Yojana that prompted her to think about brick making. “Usually it is the men who have been traditionally involved in brick making. But we thought, ‘Why don’t we do it too?’ So we started brick making and supplied bricks for various types of construction work.” Bala says. The bricks made by the women were popular and they made a lot of profit from them. “We made bricks in 2017. We made 50 paise to 1 rupee profit on every brick. We made a profit of 1 lakh rupees that year and in 2018 the profit raised to 2 lakh rupees. I t has helped us a lot.” She says. 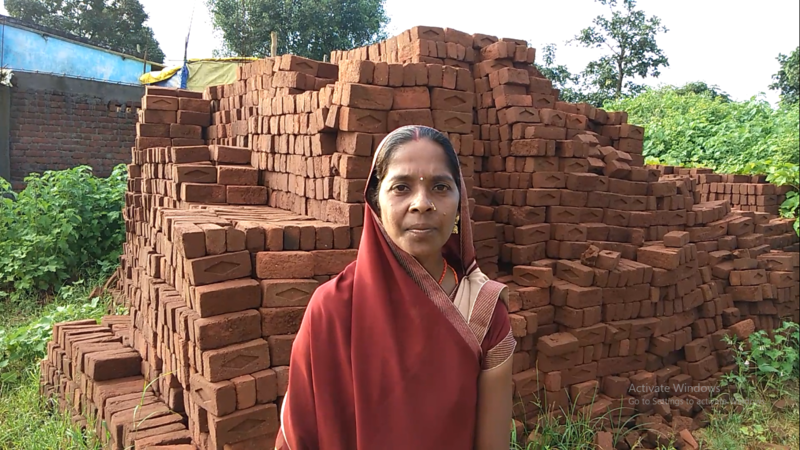 Bala’s bricks has helped her construct the foundation of a new life. She has become more confident and experienced now. The housewife who hesitated to talk to strangers can now talk to anybody and is capable of managing her trade. But most importantly, she has become financially independent and does not have to depend on anyone anymore. Her life has taken a positive turn and she is glad that she made the right choice by joining Bihan. Today she motivates other women to join Bihan and gives training to them. She is now a Community Resource Person who guides other women associated with various SHGs. As a Community Resource Person she goes to meet women in other blocks too. She is excited about her work. “Our lives have changed. We have a better life now and we can ensure a better future for our children. I go to other places to guide other women. Earlier I could not have thought about it. It happened because of Bihan only.” Says Bala. Bala and the other women members of the SHG are not the only women making bricks in Chhattisgarh today. Several other women’s SHGs are taking up brick making as a livelihood opportunity and are reaping good profit.